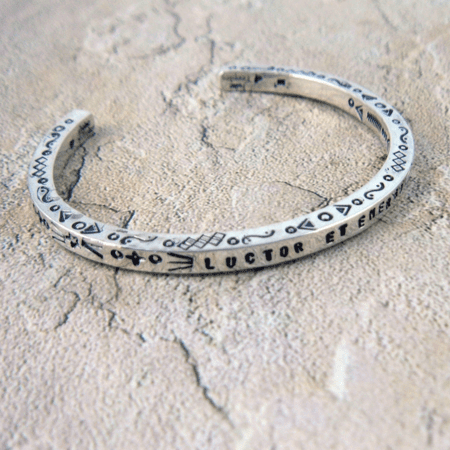 Latin Phrase Silver stamped cuff bracelet, this bracelet is "Luctor et Emergo", I struggle but I'll survive. It's one of my most popular sayings I make. It says so much to so many people who've survived many different situations in their life or the lives of those they love. 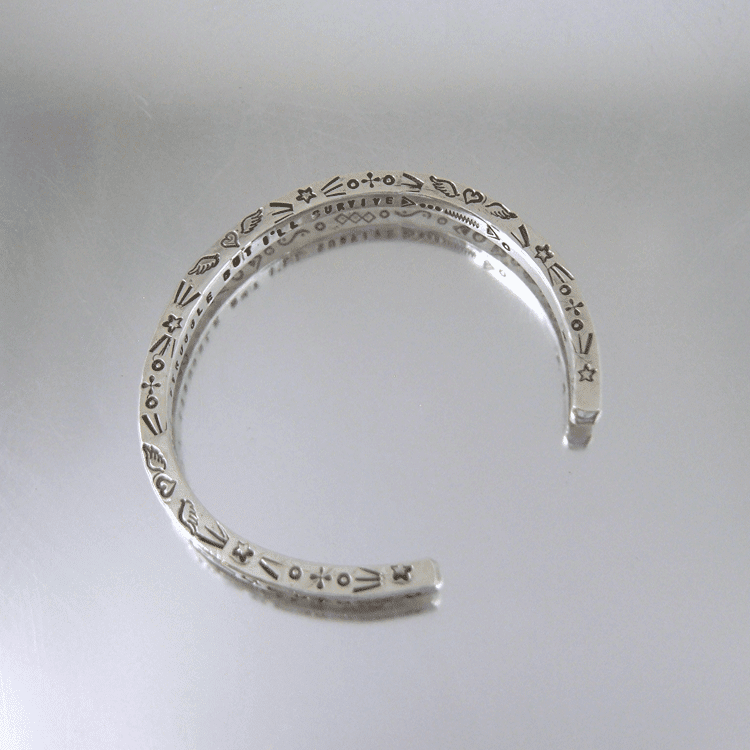 This particular bracelet fits a wrist size of 6-1/2", a bracelet size of 7"
Only one available at this time, as shown. 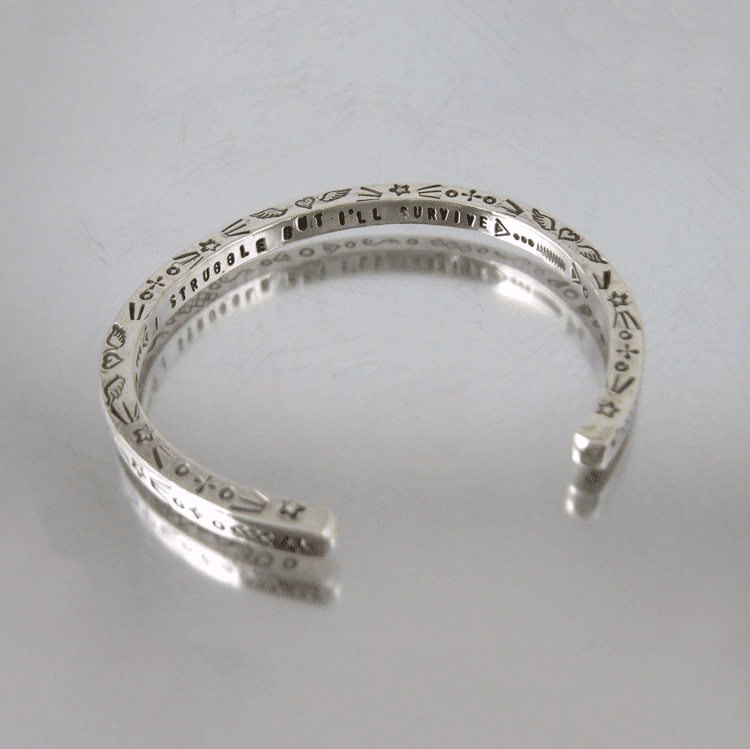 This style sterling silver cuff bracelet can be made custom to contain a favorite phrase, plus dates or whatever you can think of that is special to you or someone else. 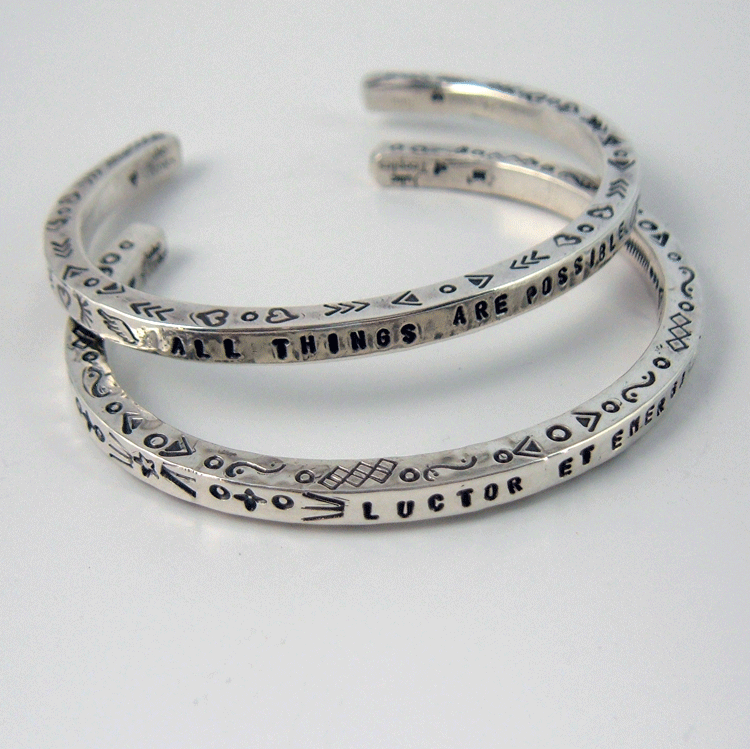 Maybe an inspiration, a memory, a place, GPS location, special occasion, graduation, marriage or anniversary. If you can think it, I can create it for you. 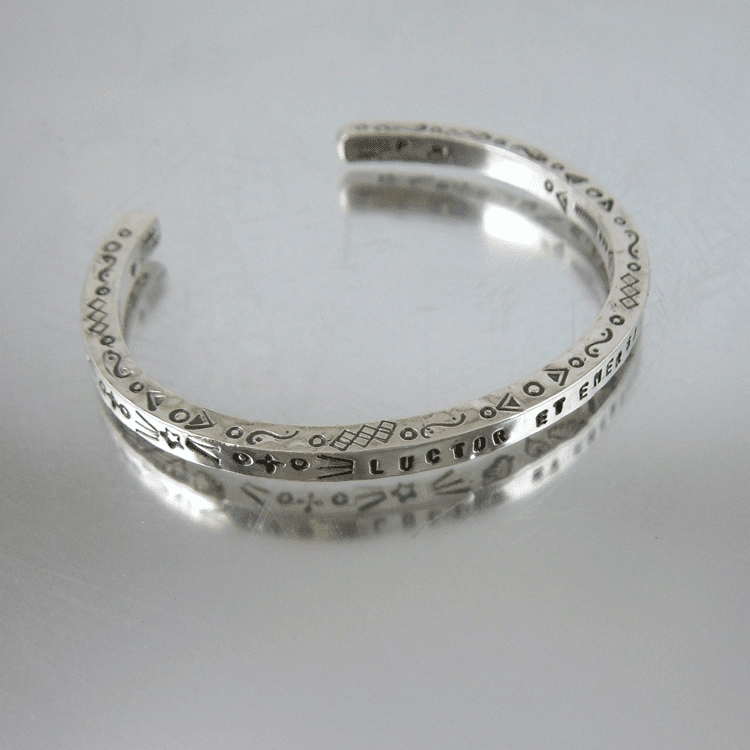 Contact me with your questions, I'll be happy to create something special for you.